The young athlete is proud to be a Nasipitnon-Fighting Maroon, just like Nasipit Mayor Enrico Corvera. What’s Mayor Enrico Corvera and Mindanaoan athlete Jun Kent Manzo have in common? They’re both Nasipitnon-Fighting Maroons. 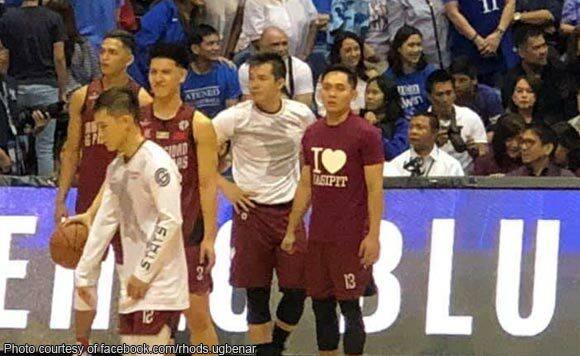 During the Game 2 of the Final UAAP Men’s Basketball Championship, UP’s Jun Manzo wore with pride his “I ❤️ Nasipit” shirt, much to the delight of the residents of Nasipit, Agusan del Norte. Amidst a though 81-99 loss against the Ateneo Blue Eagles, several Nasipitnons lauded Manzo’s skills and heart during the game. Manzo, a former Visayas Green Lancer, is on his second playing year for the UP Fighting Maroons.